This is the typical "dot box" game, where students take turns finishing the sides of a box. The student that finishes that last side claims the box, but in this version- there's a twist. They have to also say the answer to claim the box. If they don't, the other player has a chance to steal. 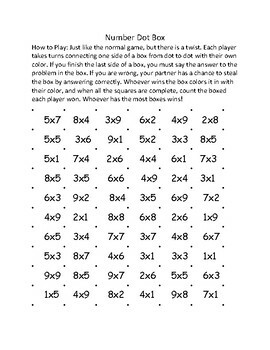 This is a fun, no-prep game that encourages students to practice math while also enjoying it.